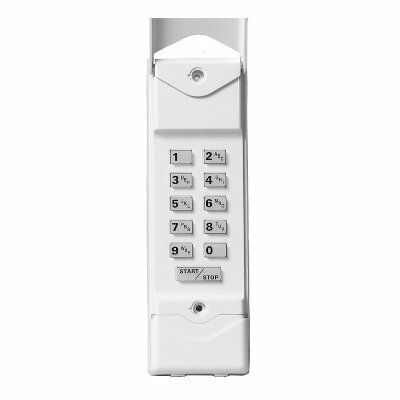 The Linear MDKP Wireless Keypad is used for MegaCode garage door opener receivers. The MegaCode keypad is formatted with one of a million different codes. Each MDKP keypad transmitter is permanently coded at the factory to a unique code. The receiver is programmed by making it “learn” the remote’s unique digital code.